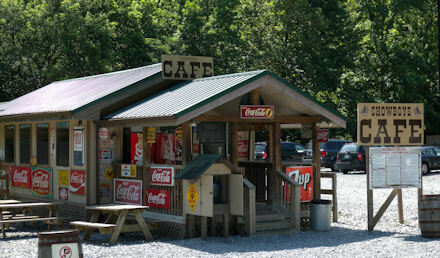 After a day on the trail, enjoy a quick snack at Chow Boys Cafe. On the menu are sandwiches, hot dogs, cold drinks, and bottled water. Relax inside the cafe or take your snacks to any of our picnic tables located throughout the ranch.